Marlene Adelstein’s novel tackles a difficult story. Adelstein installs the intriguing character of Star, who had been Sophie’s “blood sister” and best friend. Before Sophie’s disappearance, Star and Jesse were also close, but their relationship drastically changed after “that day,” as Adelstein always refers to the day she lost Sophie. Star is severely damaged by her best friend’s original disappearance, but even more so by Sophie’s visitations that haunt her night and day. “Sophie Last Seen” takes you on a journey through her characters’ inner beings, whom you get to know as the mystery of her enigmatic “missing” central character unravels. 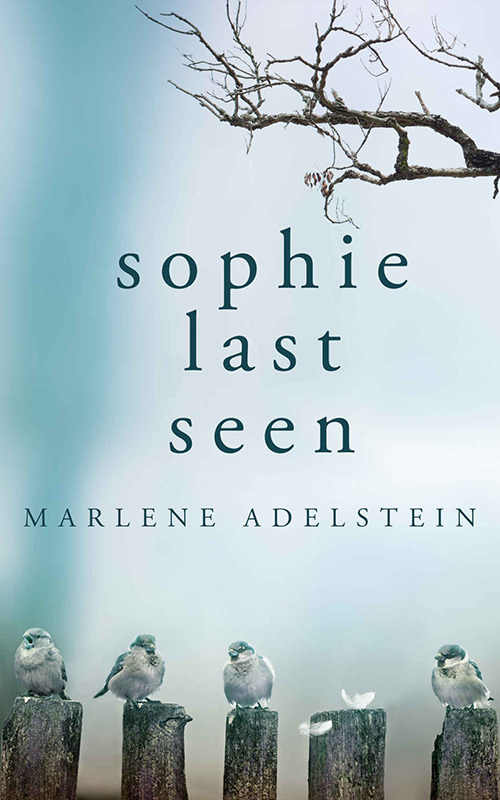 “Sophie Last Seen” by Marlene Adelstein, Red Adept Publishing, 2018, 302 pages. Available online as an ebook and paperback for $14.99. Ask your local bookstore to order it, or there are links on Adelstein’s website, marleneadelstein.com, for various online bookstores.